We’re getting to the end of our discussion on The Clone Wars Season Four. The whole season was building to the anticipated return of Darth Maul. 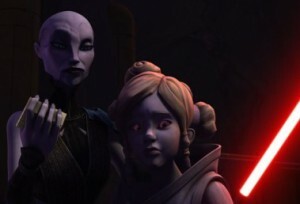 Although Katie Lucas wrote the final four episodes, I’d say they would better be described as two two-part stories – one focusing on Asajj Ventress, the other on Savage Opress and Darth Maul. Did you view it this way or as one major arc? Lex: I see these episodes mirroring Katie Lucas’ Nightsisters trilogy in Season Three. In those episodes we also started with Asajj, then shifted to Savage, then ended with a fight between them as they both cut their ties with Dooku. In Season Four, we first see the consequences for Asajj of her choices, then the course of Savage’s quest to find his long-lost brother, and finally a culmination with Asajj again fighting Savage. 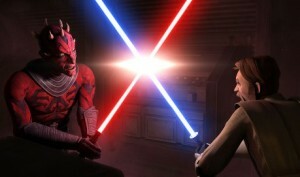 Except each of them had an ally this time – the rematch between Maul and Kenobi. I’m beginning to expect we’ll see another arc in Season Five with a similar structure with these characters. Megan: Lex has a good point that the structure of Lucas’s finales have been similar. However, I did view the final four episodes as two two-part stories. I would have liked a mention of Darth Maul, or some other sort of framing device, to make the episodes feel more connected. “Massacre” and “Bounty” had good things in them as standalone episodes, but the geographical separation from Lotho Minor and the intensity of the battle on Dathomir made them feel like separate entities from “Brothers” and “Revenge.” On one hand I was dissatisfied with the seemingly disjointed arc, but on the other hand the all-around-well-produced Avatar: The Last Airbender started its series finale in a similar way, taking characters to locations far from the site of the final fight and adding some different tones (humor, callbacks to previous episodes) before the finale got down to business. I think the difference is that the inconsistent pacing throughout The Clone Wars made the problem with the finale more apparent (and important) than it was in Avatar. Tricia: I think the connection between “Bounty” and “Brothers” was supposed to be the magic dust which pushed Savage along on his quest, linking him back to Mother Talzin and the talisman. The dust as a driving force in his quest didn’t work for me, and there was the random diner scene to make sure we saw Anakin and Ahsoka one last time. It ended up slowing down the pace and disconnecting the two character arcs. We talked earlier about Asajj’s character arc being one of the best of the season. Where do you think she ended up, and why was this character arc stronger than the others? Megan: Asajj offers some of the most uncertainty we’ve seen in a character. We know the prequel protagonists’ fates and that the light side and the dark side are very important distinctions to them. As with Ahsoka, Asajj’s fate is unknown. Although both Ahsoka and Asajj have had brushes with the side of the Force they aren’t used to, Asajj has taken more steps toward a moral code that is, if not light, then very gray. She has a human (or Rattataki!) 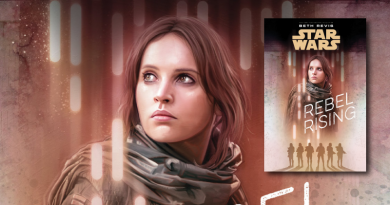 decency that we see when she frees Pluma, which seems even more characteristic of the light side than when the officially light Jedi Anakin and Luminara left their Padawans to die in a rock slide. (No, I haven’t forgotten that episode.) The moral gradients mean that there’s a lot going on in Asajj’s head, and through dialogue and action we get to see that she’s thinking a lot instead of charging ahead like other characters tend to do. I think she still has a lot of exploration to do before she figures out who she wants to be, and that’s great fodder for more characterization. Tricia: Up until we started talking about the season as a whole, I hadn’t really thought of Asajj as another character arc that leaves a big question for the show. Then I was rereading Megan’s review and pondering where Asajj might go and realized how much potential they’ve built for her. I like having this question out there. She certainly has some of the best storytelling behind her and hopefully more to come. Mother Talzin brings a previously unseen fantastical element to Star Wars. 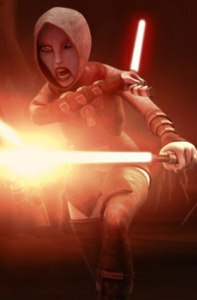 She calls upon Old Daka to raise an army of undead to fight Count Dooku and later uses her majicks on Darth Maul. Is this too divergent from what we’ve come to expect, or do you think these fantastical powers are true to the spirit of Star Wars? Lex: Even just looking at the Original Trilogy we see Jedi or Sith use these Force powers: mind control, telepathy, telekinesis, levitation, clairvoyance, and summoning lightning from thin air. That reads like a list of wizardry or witchcraft powers from all kinds of traditional fantasy stories. So it really doesn’t seem that far afield to me to include voodoo and the undead, too, especially when it’s clear that the Nightsisters’ majicks are quite the same thing as how the Jedi and Sith wield the Force. 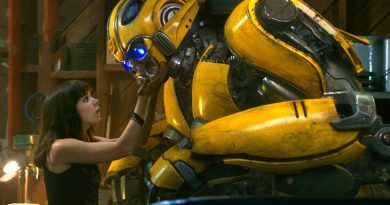 Megan: Although I think you can argue it both ways, the fantastical elements are jarring to me when they too obviously replicate existing concepts. “Zombies in Star Wars” has always been what we call zombies in Star Wars, from Death Troopers to the undead Geonosians of The Clone Wars. But Jedi aren’t called “space wizards” by fans except in jest, because there were enough differences between the Force and existing fictional systems of magic to set them apart. I have no problem with the presence of the zombies and the Force magic, but it ought to be explained a little more show more unique elements. The fact that they’re zombies also doesn’t hurt the fact that “Massacre” had some of the best fights in the season. Tricia: To me calling upon the Force is tapping into a spiritual power, and I see voodoo and magic much the same way, so none of the new elements jolted me out of the Star Wars universe. At times the animation allows them to make stretches that push a little too far with the suspension of disbelief, but this may also be a concession to the time allowed. Darth Maul’s reappearance has been set up for a quite a while. We were shown his image in Talzin’s crystal ball last season, then given tie-ins like The Wrath of Darth Maul and the short stories Restraint and Endgame. Coming into the episode, it appeared Lucasfilm had invested a lot into the resurrection of Maul. Did it live up to the hype? Lex: Thematically, yes. Maul is scary, vicious, powerful, and an incredibly dangerous threat. Exactly how I hoped he’d be. But for all the hype, we only got about fifteen minutes of that character within a single episode. Deranged madman Maul had about fifteen minutes, too, spread over the last two episodes. To me, for Maul’s return to be hyped all season, so little time actually seeing him was a letdown. Megan: As the season has ended and I’ve thought more about it, the fact that Maul wasn’t portrayed in exactly the way I wanted him to be has become less important than the fact that he was portrayed at all. I was very disappointed that the hype all the way from Celebration V led up only to Talzin’s vision, but with “Brothers” and “Revenge” I feel that some is better than nothing at all. I liked Maul’s spidery body and I like the fact that he and Savage are journeying together, even if I don’t think that either episode was written particularly well. Tricia: The last two episodes had some great visual moments, and Sam Witwer’s voice acting was phenomenal. 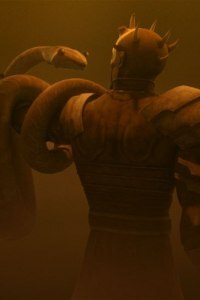 I think Savage’s quest started oddly, Morley the snake did not work for me – I knew what they were trying to do but the voice, dialogue, and plot didn’t mesh – and then the random intercut of Anakin and Ahsoka left “Brothers” as one of the weaker episodes of the season. 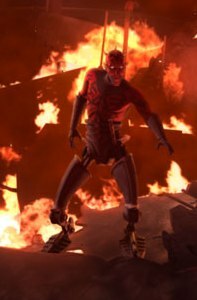 “Revenge” had some amazing animation with the forging of Maul’s legs and the banter between the fighting duos was top-notch. As a story though, the final episode wasn’t nearly as crisp or tight as it could have been. Last time we talked about the pacing of the Bounty Hunger arc. What are your thoughts on “Brothers” and “Revenge” and what was given screen time compared to what was missing? Lex: The easy answer is too much Morley the snake, not enough Maul. The opening sequence of “Brothers” also didn’t really seem to advance the story at all, other than to give Anakin and Ahsoka one more cameo before the season ended. I think giving Savage 7-10 minutes to find Maul would have been enough, then spend the remaining 34-37 minutes with Maul would’ve been better. I also thought it was very odd to have Yoda sense Maul’s return when Maul was just going to send a comm transmission to the Jedi Temple and announce himself anyway. Megan: It’s interesting that you ask about the “divergent” nature of the Nightsister zombies but not the suspension of disbelief required to see Maul come back, in the grand superhero comic book tradition, from the dead. I would have liked a lot more about how he survived, and maybe even flashbacks to Naboo. Spending a lot of time with Morley instead seemed to undermine the concept. Morley and the sequences with he and Savage fighting of various denizens of Lotho Minor were just a tease, and it was annoying to be teased after waiting so long. Tricia: I guess I had a working theory on why Maul was back, so I wasn’t suspending too much belief; the superhero returned-from-the-dead was probably the conceit they were hoping would make his resurrection believable. I’m guessing that showing what happened on Naboo would give too much away on Talzin. Hopefully we’ll see more of that later with books, comics, or even from the show. And it seems like we’re all glad to see the last of Morley. I definitely think Maul got too little time. They moved him from madman to bent on exacting revenge against Obi-Wan to galactic-level mastermind of doom pretty quickly, even for a cartoon. In her review, Megan felt the final episode came up a bit short as a story, and I think we’re all in agreement that the closing episode didn’t close the season with the bang we had hoped for. What would have made the difference? Lex: I would have liked to see Maul established as a threat not just to Obi-Wan, but on a much broader level. He comes back, announces himself, lures Obi-Wan to him, fights him, and everybody escapes with their lives. It might have been stronger to see Maul have a grander plan to move against the Jedi Order as a whole, or even to make moves against his old master, Darth Sidious. Instead, the “Revenge” vengeance story just seemed a little bit too small for the epicness of bringing Maul back. Megan: It came up a bit short as a story because Maul’s characterization seemed off, and Lex hits on something important when he says that Maul didn’t have a clear plan. Maul wanted to get to Obi-Wan, but he went about it in a roundabout way, which made the story lose a lot of its momentum and impact. I would also have liked a mention of Darth Sidious. Maul’s return could really shake the Star Wars galaxy as we know it, but like after the Mortis arc and Ahsoka’s brief experience with the dark side, after the dramatic events are over it’s like they never happened, never changed the galaxy. Hopefully Maul sticking around for season five will change this a little bit. Tricia: Megan and Lex summed up my thoughts pretty well. Honestly I think it was the prior episode “Brothers” that worked against “Revenge.” The pacing stumbled, and the last episode had a hard time building it back up. Overall, what were the things you liked the most about this season? Lex: The character arcs for Obi-Wan and Asajj were well done, and the Umbara arc and its development of the 501st clones was another highlight. I also really liked the contrast between Anakin and Ahsoka in their emotional control in the Zygerria arc. Megan: Seeing Darth Maul on screen again. Asajj. I still really like Ahsoka’s fight scenes; “Kidnapped” was a pretty unnecessary episode but her two lightsabers were put to cool use. I also really liked the Krell Arc. Tricia: The Umbara/Krell Arc was the best work of the season for cohesive storytelling, characterization, and animation. Those episodes worked together. Asajj’s arc was strong and I liked what they’ve done with Mother Talzin, as well. It was great to see Obi-Wan get so much screentime, although I thought they didn’t give him quite the growth in the Zygerria arc as he had in the actual Slaves of the Republic comic. Finally, any closing thoughts on Season Four and what you’d like to see in Season Five? Lex: I hope Season Five continues the focus on character-driven stories, and moves forward with the development of the major TCW characters like Ahsoka, Rex, and Asajj. But I’d like to see some of the side stories and one-shots, too, like “Shadow Warrior” or “A Friend in Need.” I also hope they’re able to smooth out some of the inconsistencies in pacing, both within episodes and over the course of arcs. They have a lot of great material, but sometimes showcasing fancy visuals, like “The Box” or Morley, eats up too much time that would be better spent advancing the characters or the plot. Megan: My wishes for The Clone Wars are always the same: get Katie Lucas and maybe Matt Michnovetz (writer on the Krell arc) in there for a longer period of time and give the season some continuity. Give Ahsoka character development, not just new costumes. She’s supposed to be a person, not a RPG character. I’m curious to see what is done with Darth Maul and whether the series as a whole gets darker. That seems to be the trend so far. Tricia: A lot of energy this season went to visuals and I’d like to see the storytelling and characterization brought up to the same level. Padmé and Ahsoka weren’t utilized enough. I’m excited to see where Rex’s, Darth Maul’s, and Asajj’s storylines go. Honestly I prefer the shorter arcs and one-shots and hope to see only one or two longer arcs going forward. I’m definitely excited for the possibilities that lie ahead. This wraps up our The Clone Wars Season Four in Review; you can find the rest of this series here. Many thanks to Lex and Megan for their effort. 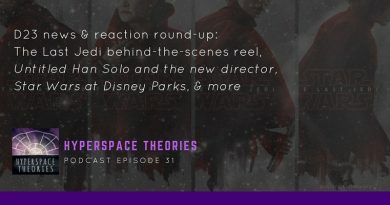 The first Season Five trailer is already online, and once Star Wars Weekends hits hopefully we will have some more teasers to discuss! ← Where To Draw The Line for Wonder Woman? Asajj surprised me too! I really love the complexity of her character. Thanks, Matthew, for your feedback.